Lynn Morgan’s Solo exhibit, “Living the Vibrant Life”, begins today, Wednesday, May 2nd, with a free, public Opening Reception on Thursday, May 10th at the Schuyler Gallery at the Lake Park Library. The Exhibit continues through Friday, June 29th. Represented by GalleryVibe in Naples, FL, Lynn is a nationally and locally acclaimed award winning artist and art instructor. The title of her exhibit tells us all we need to know about Lynn’s outlook on life! The vibrancy of her colors dance and make us want to join in! 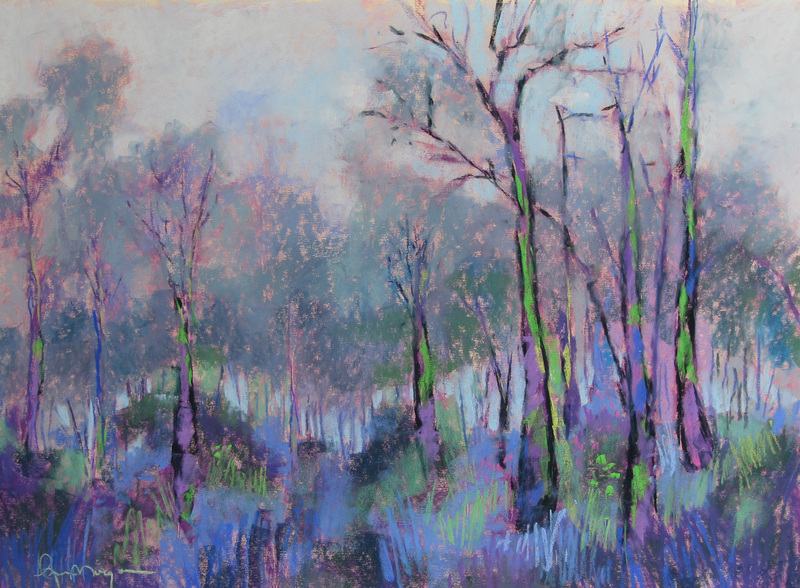 The Friends of the Lake Park Library are pleased to announce a solo exhibition of original pastel paintings by well-known local artist Lynn Morgan. 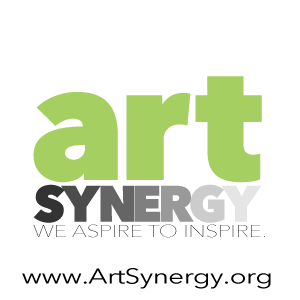 Lynn is a signature member of the National Association of Women Artists, The Artists Guild of the Boca Raton Museum of Art, the Florida Artists Group (FLAG), Women in the Visual Arts and Artists of Palm Beach County. She has exhibited widely locally, statewide and nationally, and has won many awards. 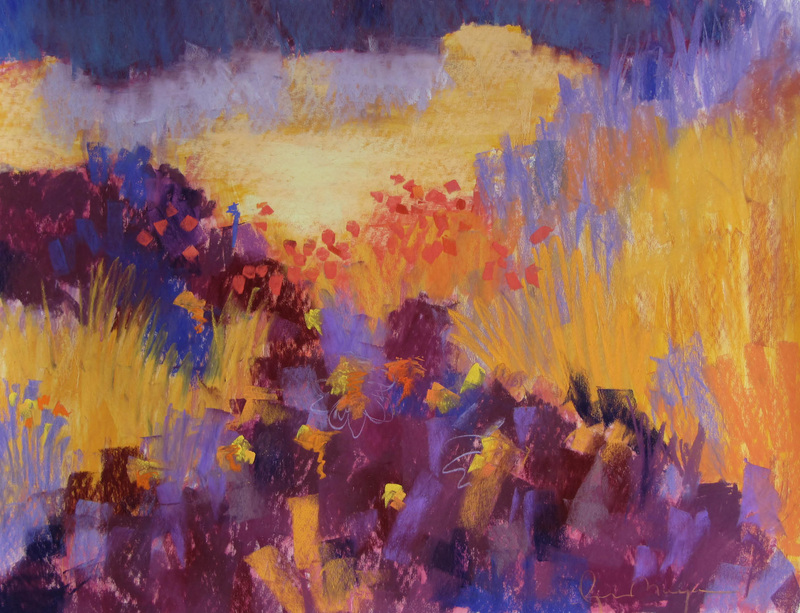 Lynn will be teaching pastel classes and workshops at the Lighthouse ArtCenter in Tequesta. She is currently represented by GalleryVibe in Naples, FL. For Lynn, creating art is an integral part of her philosophy of being consciously aware of the world around her. Lynn has been creating art all her life. Until her retirement from the corporate world, art was one of her hobbies, but it was the only hobby that she never tired of. She knew that when she retired, she would reinvent herself as an artist, and that’s what she did. By attending classes and workshops, she learned techniques that have evolved over the years from realistic renderings to a much more abstract style. Lynn loves to travel the world and is considered quite the adventurer by her friends. Her works are inspired by the sights and sounds of her travels to various parts of the world. Travel has become one of Lynn’s passions. She started her travels with Hawaii, where she attended the University of Hawaii for one semester. Since then she has returned to Hawaii with her daughter and also visited Tahiti, France, England, Switzerland, and several other European countries. In recent years, she bicycled in Slovenia, Austria and Italy. She hiked throughout Patagonia, including a visit to Cape Horn. Also, she sailed the Dalmatian Islands in Croatia on a 41-foot sailboat. Many paintings have been inspired by these adventures. Lynn was born in a Detroit suburb, but has spent most of her life living in Florida. She doesn’t paint a lot of Florida scenes because she says, “I see Florida scenery all the time. What inspires me is scenery that I only get to see when I travel.” Her early art experiences were orchestrated by her mother, a former student at the Parsons School in New York. As a pre-teen, she was allowed to ride the city bus to downtown Detroit (imagine that!) by herself. She would browse the stationary departments at the big department stores to find drawing paper. As a teen, she began to paint with acrylics. Life took the marriage and career path, and those demands became primary. Lynn has a Bachelor’s degree in Education and a Master’s degree in Human Resources Management. She ultimately became a single mother, so the ability to support her daughter became the driving force in her life, although painting remained a hobby. She tried flying a plane, playing guitar and piano, playing golf, SCUBA diving and sailing, but she always came back to painting. 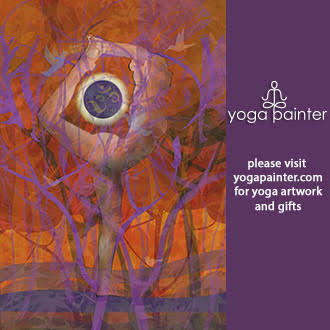 In later years, Lynn began painting with watercolors and took classes with Garri Katz, Barbara Nechis and Robbie Laird. She also took art classes at Palm Beach State College where one of her instructors introduced her to pastels. She was hooked on the look of the pastel sticks, the feel of the medium in her hand with no brush as a go-between, and the brilliant color that clings to the tooth of the paper. 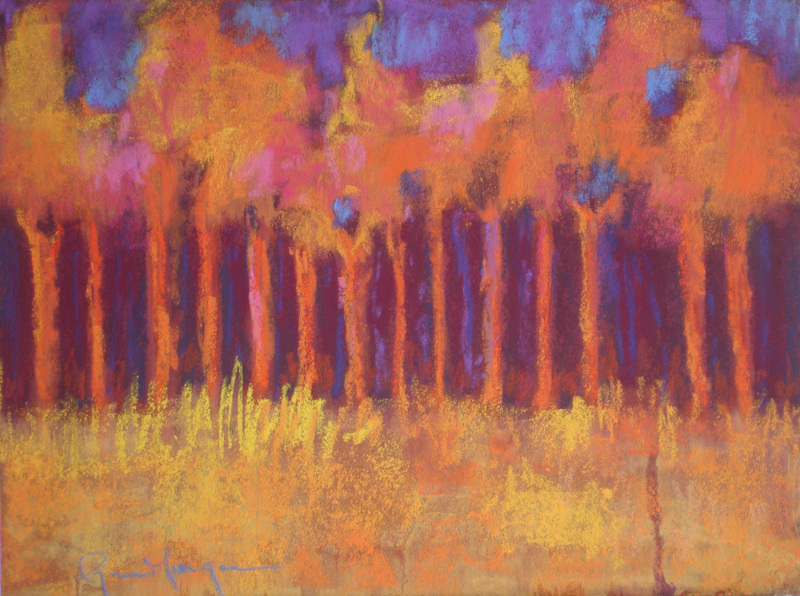 When Lynn first began painting with pastels, she tried portraiture. Although her portraits were well-received, she was drawn to non-objective art, and portraiture is about as far from non-objective art as you can get. She began a period of figurative paintings, studying with Margaret Dyer, and her style evolved into a looser, more abstract one. As her travels increased, Lynn began painting landscapes. She has studied with Miroslav Antic, Terri Ford, Casey Klahn, Aline Ordman, Tony Allain and Jen Evenhus. Her style continues to move toward more abstraction. Lynn is now a full-time artist. She exhibits both locally and nationally and has won awards. Lynn tells The Rickie Report, “Before I begin a painting, I already have an idea in my head about the subject matter. That idea is often inspired by photos taken on one of my adventures, but it is always my intention to use photos only as an initial idea. Since color is my primary passion, I will select a color palette based loosely on the subject but more on what colors I am in love with that day”. “I begin with a loose sketch of my subject using a dark hard pastel. 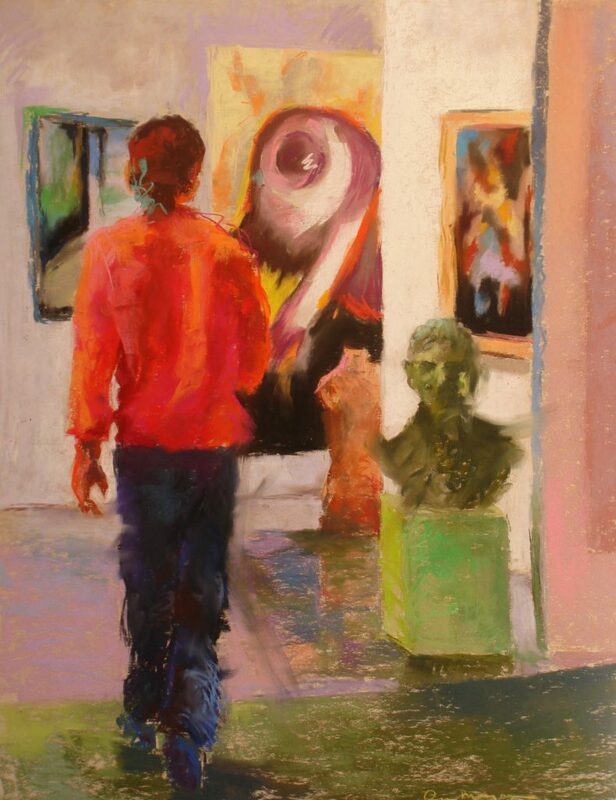 Then I block in dark and light shapes with hard pastels, usually in a color complementary to my final color scheme, and usually with a very bright color for the lights. At this point, I will wash over the entire underpainting with denatured alcohol which creates the lovely drips, splashes and patterns that I will incorporate into the finished painting”. 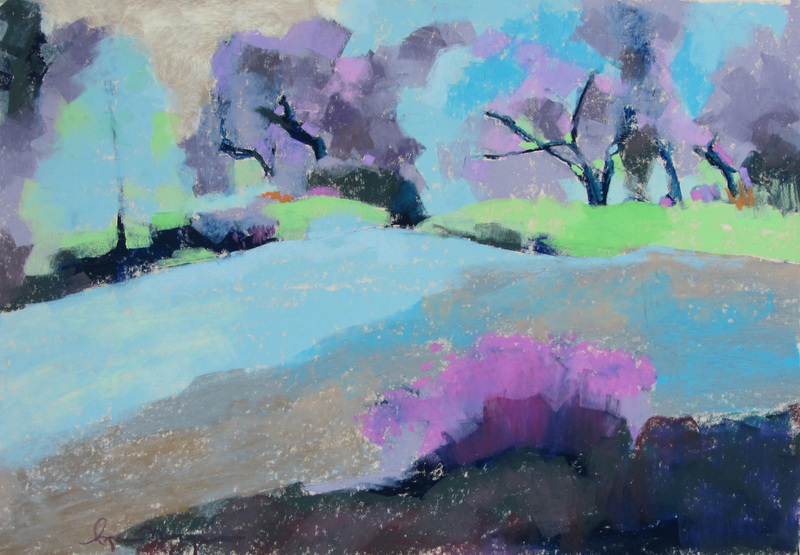 “The emotion of the painting begins with the application of soft pastel colors. This is where I let my awareness of the beauty of brilliant color shine. With every stroke of the pastel stick, I find delight in the tiny flecks of pure color that remain on the surface of the paper. When I think the painting is complete, I leave it on the easel until the next day, when I will undoubtedly see adjustments or additions that need to be made. I will study the piece and ask myself a series of questions about design and composition. Does the work convey the emotion I felt when I saw the scene in person? Does it convey the emotion I felt when I imagined the idea? Depending upon my response to these questions, I will then make further adjustments or declare it complete and sign it. My goal is that my work expresses my quest to consciously understand my spiritual self to participate in creating a personal and collective reality for the world around me”. Jean Williams is a vibrant creative hailing from western New York State, now living in Florida. Her photography was published by The Palm Beach Post and hailed as a “million dollar shot“. 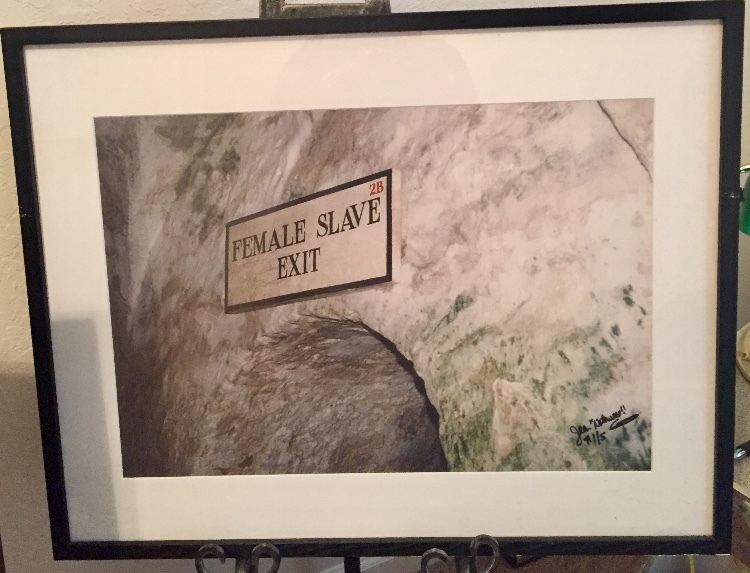 Now everyone can enjoy Jean’s SOLO photography exhibit at the Lake Park Library. The exhibit is free and open to the public, with a reception to Meet The Artist on Wednesday, January 10th. The Rickie Report shares the details and some sneak peeks. Jean Williams takes the viewer on a journey around the world with her! Jean’s photography was quoted by the Palm Beach Post as being a “Million Dollar Shot.” She holds two Associates and one Bachelor’s Degree, is the author of several books, her own handbag and created her own bespoke perfume line. Jean’s photography and books have been featured nationally and locally on television and radio. Her photographic venues range from Florida, North Carolina, New York City (Soho), to Dallas, TX in the United States. When Jean says, “My direction has a purpose”, you can feel her creative energy and you want to be part of it! She was guest speaker at the Universal Preservation Hall in Saratoga Springs, NY. For her, it was a special privilege, as the granddaughter of the late Founder/Pastor Frank Gibson of Universal (Baptist Church) Preservation Hall, the Cultural Hub of Saratoga Springs, NY. Jean spreads her love of life and all things creative wherever she goes! Jean has been a trailblazer throughout her life, traveling to China, India, The Philippines, South Africa, West Africa, and many places in between. She is the proud mother of three sons, two daughters-in-law and ten grandchildren. Susan Oakes shows us that borders can be blurred between art and technology, resulting in extraordinary works of art! Her award winning pieces teach us that art and technology are not antagonistic, but can coexist and should be used to enhance each other in new and exciting ways. The Lake Park Library shares Susan’s creativity to the public during their regular hours. The Rickie Report shares the details and some sneak peeks as well as Susan’s exuberant look at art. Susan Oakes tells The Rickie Report, ” In my work and teaching I blur the borders between photography, painting, and digital illustration and reveal that art and technology are not antagonistic, but can coexist and be used to enhance each other in new and exciting ways. Although my art uses computer hardware and software, it is not the result of anything “automatic”, and is developed from my original photography. There is no “formula” or mechanized process… no two pieces are done in exactly the same way. In my collage pieces, I create composites of several photos, and sometimes vector illustrations as well, using layering, painting, blending and masking to achieve a certain look. I begin with the human form and relate it to elements in the natural world, such as water, plant life, or landscapes. The viewer’s eye is drawn around the piece to discover the individual elements and how they coalesce to form the whole”. Susan is a freelance graphic artist and instructor who draws from a diverse background of psychology (B.A. ), business (management), and art and technology, (teaching at Briarcliffe College in NY, as well as Palm Beach State College and the School District of Palm Beach County in addition to many private students). Her professional affiliations include: Broward Artists Guild, Lighthouse ArtCenter Artist’s Guild, Artists of Palm Beach County, Kelby One (Formerly known as National Association on of Photoshop Professionals) and Seybold Seminars Digital Design, San Francisco.